New Delhi, 29th January. After declaration of Assembly Elections in Delhi, several criminal complaints have been lodged against Shri Arvind Kejriwal in various courts of Delhi besides one criminal complaint has also been lodged in Sabji Mandi police station for violation of Model Code of Conduct. Pramesh Kumar vs Arvind Kejriwal filed on 29th Jan, 2015 will be listed before CMM, Rohini on 31st Jan, 2015. Arun Kumar vs Arvind Kejriwal filed on 29th Jan, 2015 will be listed before CMM North Tis Hazari shortly. Ikrant Kumar Vs. Arvind Kejriwal filed on 29th Jan, 2015 will be listed before ACMM, Tis Hazari on 31st Jan, 2015. Police complaints before the Sabji Mandi Police Station vide DD No. 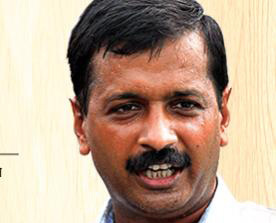 468 against Arvind Kejriwal for committing offences u/s 107, 171B, 171E of I.P.C.